Couples from around the world flock to Paris to propose, to wed, to honeymoon, and to generally celebrate their love. Between the art, the food, the wine, the fashion, and the irresistible French language, the city of Paris possesses every ingredient necessary to spark chemistry as well as a magical quality of elevating life’s simple pleasures into the realm of romance. One such pleasure is sport, an activity or event that in other contexts can sometimes appear brutish. However Paris’s French Open, one of the world’s four tennis Grand Slam tournaments, is anything but coarse. Both exciting and grueling, chic and sweaty, the French Open certainly makes a case for tennis as the world’s most romantic sport. If not tennis in general, then Paris tennis at the very least. Is it the intimate and highly emotional play of the game, or the breathtaking French Open location of Paris that makes this tournament so seductively enthralling? We say, it takes two. Like all lasting loves, tennis and Paris have several things in common that make them perfect romantic compliments. Tennis is a sport historically for the elite and upper-class, yet has many inspiring underdog stories. Paris is a city historically favored by aristocracy and nobility, yet was the site of Europe’s most important class revolution. The earliest documented tennis player known to historians was none other than French ruler Louis X. This 14th century king was so fond of the sport that he requested a court be built inside his palace so that he needn’t exert himself in the heat of the summer. This style of enclosed courts soon spread to palaces all over Europe – Charles V of France and Henry VIII of England are two later rulers who also played tennis on their palace grounds. 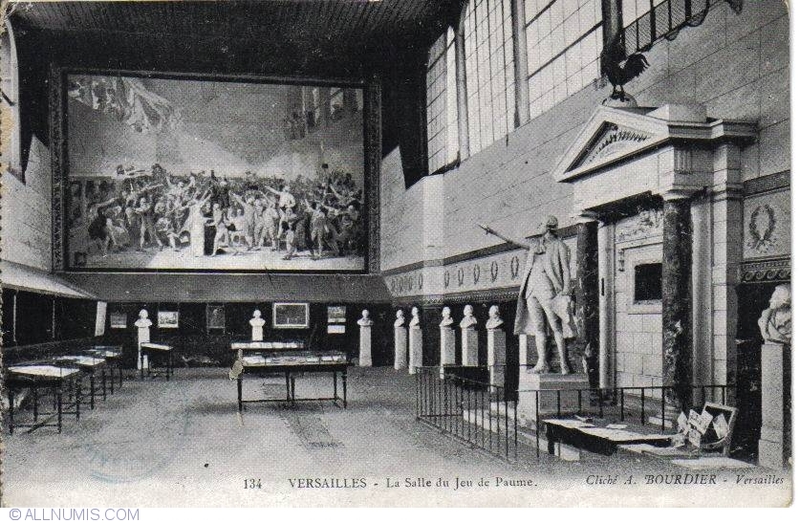 Louis X’s indoor tennis court in the Versailles Palace. Source. 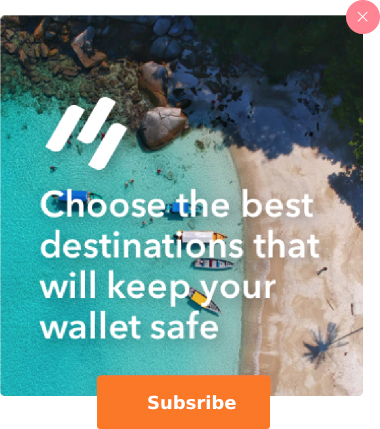 s carries something of an exclusionary reputation. 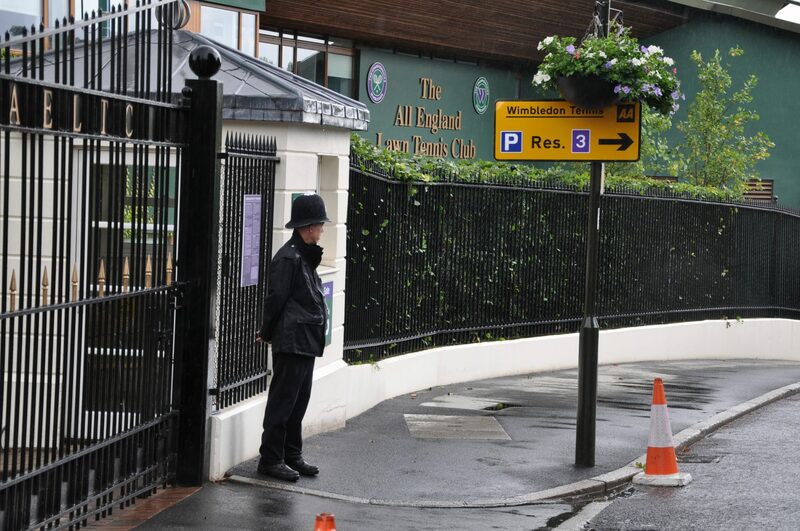 Even to this day, well-maintained tennis courts can be found almost exclusively in private clubs, the membership fees for which the average person can’t afford. Furthermore, tennis is not a team sport, but is rather played 1-on-1 or 2-on-2. Where team sports tend to stir feelings of community identity, the play of tennis focuses more on the performance of the individual or pair. But in spite of this history of wealth and luxury, tennis hosts some of the greatest upsets and underdog stories of any sport. Marcus Willis went from ranking #778 in the world and making only $345 out of professional tennis in the first half of 2016, to playing against Rodger Federer at Wimbledon. Venus and Serena Williams trained as children in the rundown Compton Municipal Tennis Courts, having to duck to avoid stray gunfire due to the gang violence that plagued the city. Still going strong in their careers, the sisters have dozens of Grand Slam titles and Olympic gold medals between the two of them. There is also the famed match known as “The Battle of the Sexes,” in which male tennis superstar and vocal detractor of female athletics Bobby Riggs was publicly defeated by Billie Jean King, who went on to found several associations in support of women in sports. 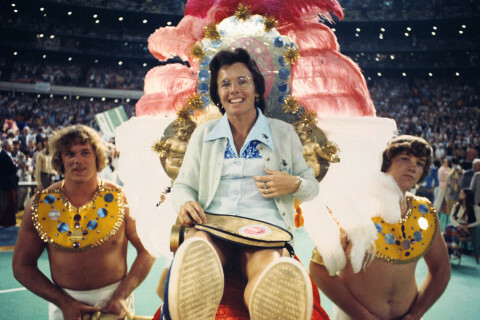 Billie Jean King makes quite an entrance at the Battle of the Sexes against Bobby Riggs. Source. These inspiring stories of struggling against the odds and social climates are especially fitting in historical Paris, the site of one of the most influential revolutions throughout the history of mankind. This 10-year long revolution profoundly changed the course of human history, triggering the decline of monarchies across the globe and setting the precedent for modern democracies and republics. 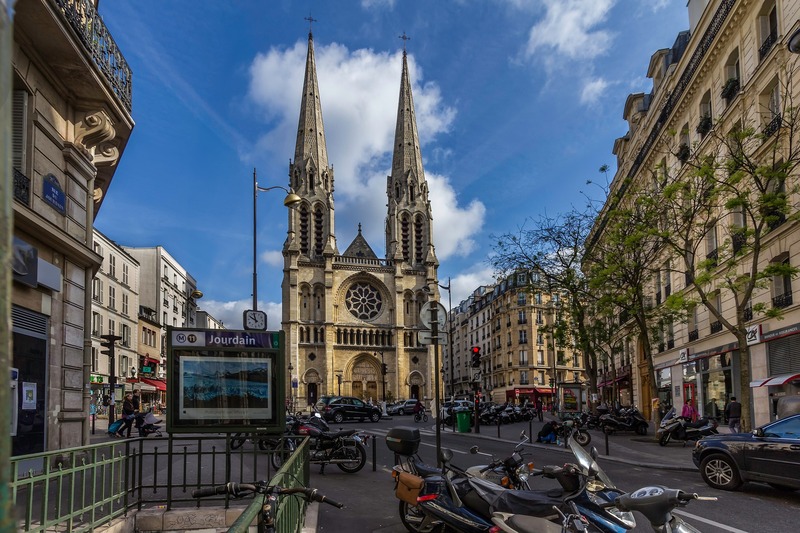 The French Open location of Paris is no stranger to the turbulence of change, and the French Open itself is fabulous event to experience some of that revolutionary spirit. Paris is a fashion capital of the world. Tennis is the most fashion-conscious sport in the world. Paris and tennis make for one seriously fashionable couple. One plus of individual-based over team-based sports is that the players have the opportunity to show off their style. Without the restrictions of team jerseys, tennis pros are known for sporting some seriously chic (and sometimes wacky) outfits on the courts. While Wimbledon requires that players adhere to an all-white dress code, fashion at the French Open is especially bold and colorful. A fashion-conscious French Open makes sense given the prominence of the fashion industry in Paris, but a key distinction between runway fashion and tennis court fashion is the clothing’s functionality. If you’re a fan of grocery shopping in yoga pants and tennis shoes, you can thank the sport of tennis for being probably the most influential sport in the phenomenon of athleisure fashion. Sure, many tennis players put a lot of thought into looking good on the court. But when you consider how the pros can often be downright superstitious about everything from their balls to their rackets, you can bet that clothing that gets in the way of play is a no-go, no matter how fashionable. Athleisure has risen to find harmony between the two. Alizé Lim was widely considered the best dressed player at the 2016 French Open. Source. Tennis fashion is at its peak at the French Open, and spectators who can appreciate the unity of fashion and functionality will find lots to admire. 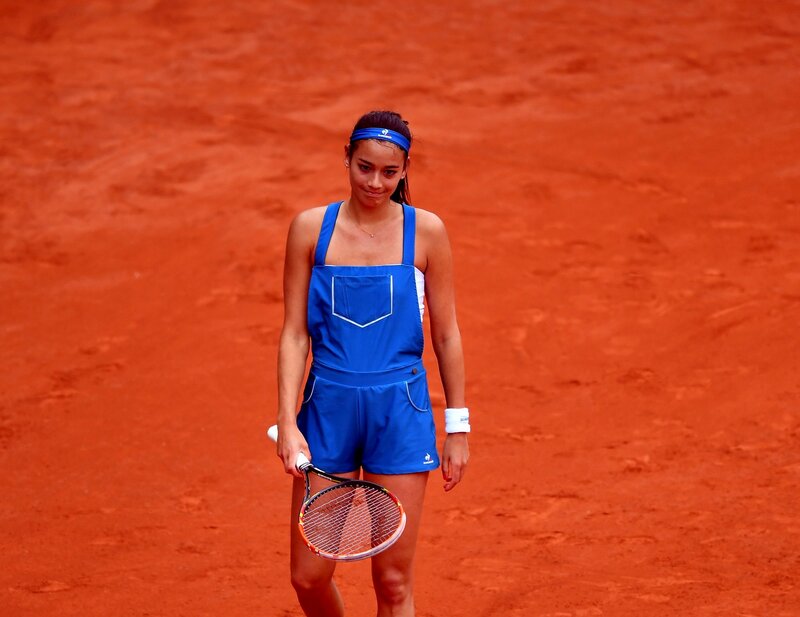 But the players aren’t the only ones making statements with fashion at the French Open! Everyone is at their best dressed when they visit Paris, so you can expect lots of excellent people watching and celebrity spotting from the stands. 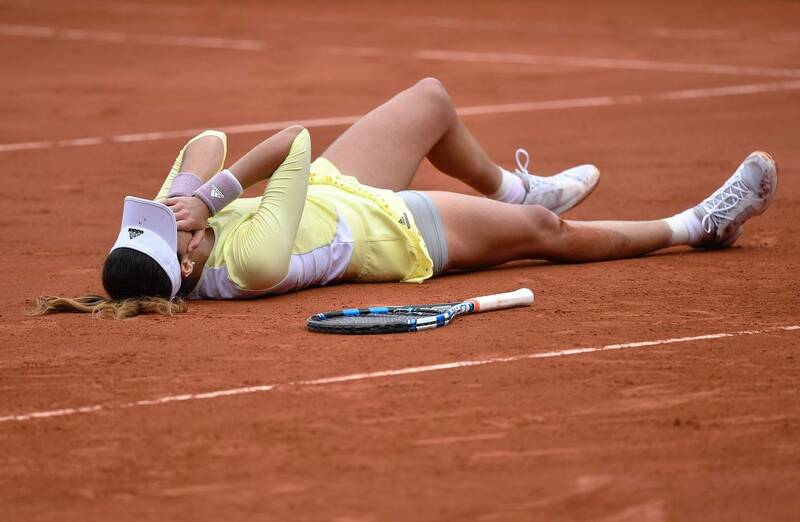 The French Open is widely considered the most mentally and physically grueling tournament in tennis. Paris is the setting of some of history’s and literature’s most tumultuous love affairs. Napoleon and Josephine. Anais Nin and Henry Miller. Christine and the Phantom of the Opera. Marie Antoinette and Axel de Fersen. There is something about Paris that elevates love affairs to legendary romances. But from a cynic’s point of view, there is little to be romanticized about the relationships listed above: all were colored by infidelity, jealousy, and tragedy. For all the country-club aesthetics of tennis, the sport is deceptively demanding on the players’ bodies and emotions. Players pitted against each other across the court, the pressure of the serve, the intimidation tactics; any tennis pro will tell you that the game is equal parts mental and physical. The French Open in particular is considered to be the single most grueling tournament in the entire sport. Because the French Open is the only Grand Slam tournament to be played on a clay court, the mental pressure and physical demands are even higher. Clay courts slow the ball down considerably when compared to grass or hard courts, meaning that players have to hit harder and move faster. Well-ranked players who haven’t trained adequately on clay courts may find themselves completely unable to keep pace with players they’ve beaten on hard courts. Unknowns can rise from the ranks to beat out favorites to win. And the physical and mental toils of the players look even more intensified against the clay-red backdrop of the court. In love and sport, anything can happen. Sometimes, the more one must suffer its name, the sweeter the victory and the more legendary the tale. One shouldn’t underestimate the power of a romantic backdrop to intensify all feelings, from anguish to bliss. 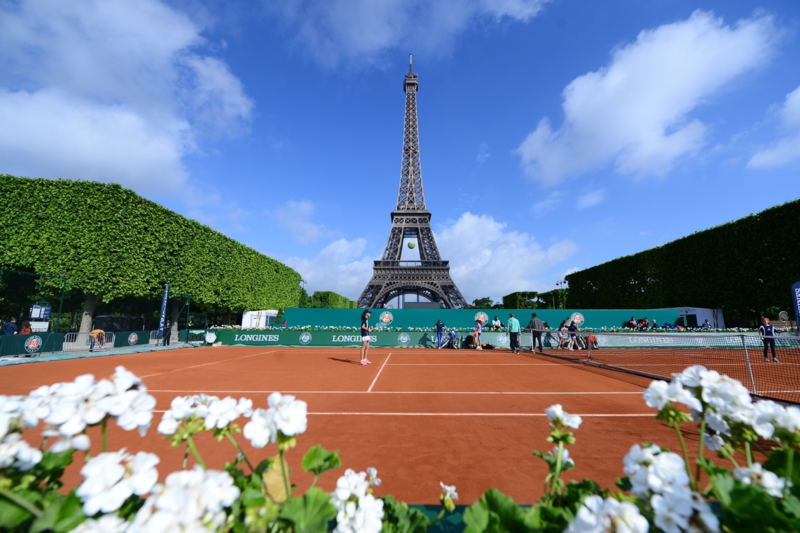 In this sense, Paris and the French Open are an ideal pair. Tickets for the 2017 French Open become available to the general public on March 22! 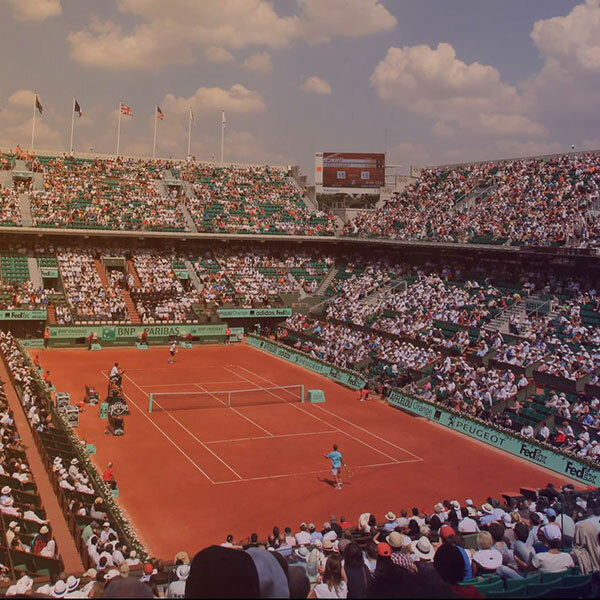 To get started on booking your trip to this athletic spectacle in the heart of beautiful Paris, inquire about our French Open travel packages today.